Recently, the Journal of Alternative and Complementary Medicine has published an extremely exciting clinical trial that revealed how a kitchen spice is an effective natural alternative to Ibuprofen, the popular painkiller, used in the treatment of knee osteoarthritis. The spice has proven to be much safer and does not cause any side-effects. It is also a non-steroidal anti-inflammatory drug. Curcumin is a polyphenol found in turmeric and it has confirmed to have over 600 health benefits. According to the Lancet review last year, Ibuprofen is as toxic to the heart as Vioxx, an anti-inflammatory drug banned for use. It has also contributed to tens of thousands of deaths as a result of cardiovascular disease every year. People should be aware of this factor, because natural alternatives are always a safer option, especially when they come in the form of a culinary spice proven to be easily available, safe, cheap, and time-tested. A study confirmed the efficiency and safety of curcuma domestic extract in the treatment of patients with knee osteoarthritis. A trial was done, involving 109 patients diagnosed with this health condition. They were randomized to take 800mg of Ibuprofen a day, or 2,000 of turmeric every day for six weeks. The researchers measured the pain the respondents experienced during walking, stairs, and basic actions that involved their knee assessed by the time they spent during going up and down the stairs and also during a 100m walk, as a primary outcome. After six weeks, both groups showed significant improvements, and the primary outcome was similar, except for the group that received turmeric. They showed a slightly better performance on the 100-m walk and less pain when respondents were supposed to go up and down the stairs. The turmeric group showed no adverse cases. They were more satisfied with the results than the Ibuprofen group. 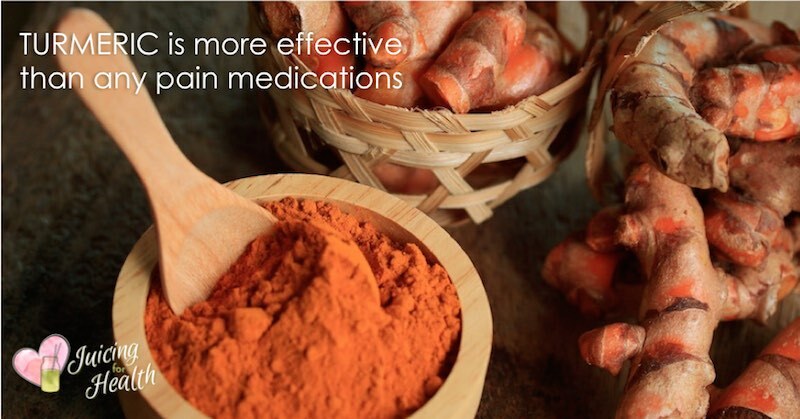 There was also a distinctive trend toward the better effect in patients who received turmeric than those who took Ibuprofen. Dried C. domestica rhizomes were ground into fine powder. Turmeric powder was later extracted with ethanol and evaporated at low pressure in order to obtain ethanolic extract rich in oil and curcuminoids. The oil was removed, and the curcuminoid extract was the only thing that was left. Each capsule of C. domestica extract contains 250mg of curcuminoids. If unsure, you may also take curcumin supplements which is a very convenient option. Choose those with “bioperine” which is an extract of piperine obtained from black pepper. It will supercharge the absorption of curcumin by up to 2000 percent.